To just stand in a street corner and playing music, no, that’s not working just like that. Esp. not, if you got an ap with you and there are more than two people. That’s what I’ve learnt with Daliah this weekend. You have to inform yourself more exactly, whatfor you need when and where a permit. And then there are other musician around, who not always have the same oppinion… last Saturday morning, shortly after 9.30 am in Bern. It wasn’t that easy to get out of bed, but with a Starbucks caramel macchiatto in the hand and beautiful sunshine, I was on the way to listen to Daliah. Daliah are Renée Leanza, Fabian Leanza, Tobias Heer, Tobias Bowald and Michael Erismann. 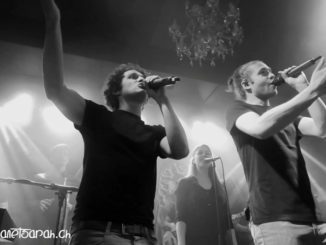 A dialect band from Bern. 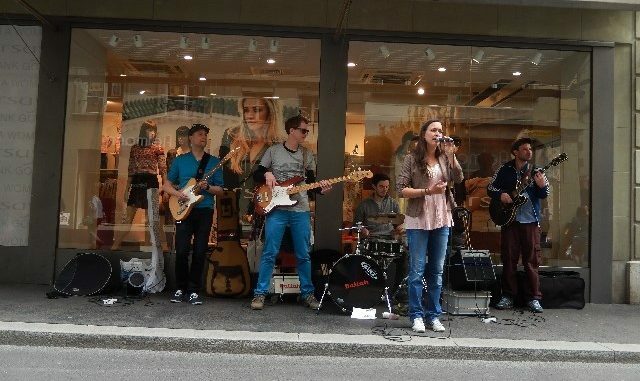 They played for the final of their “Rägenassi Strasse” street concert tour in the capital. The photo, where they got into position, appeared shortly before 9.30 am on Facebook. Where was the Bärenplatz again? Oh, I was already standing in front of it. Sun, blue sky, starbucks and great music – perfect to start a concert day. And here and there some chitchat with some acquaintances, who surprisingly suddendly stood next to me. 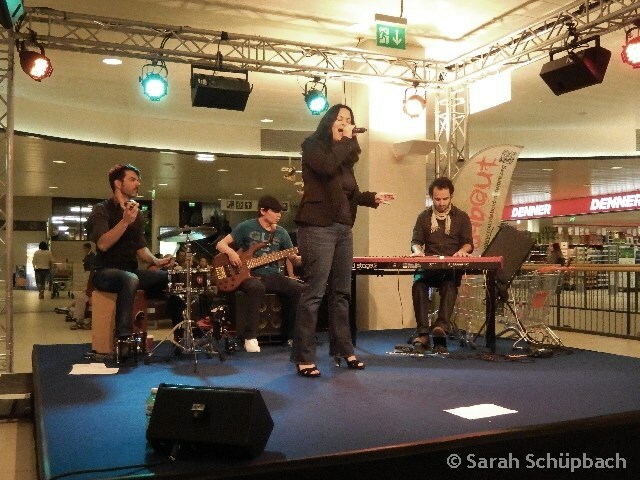 The band did four stops around the Bärenplatz, and played songs of their three albums, among others “Amy”, “Rägenassi Strasse”, “Königsbett”, “Merci”, but also titles like “Miss Fairytale” from their CD “1.0”. Back then they kept writing english, french or spanish songs. This changed to dialect though. It’s nice to have discovered another dialect band. It definitively was very interesting to watch the people, who passed or even stopped to listen. Children, who didn’t really dare to put the money into the guitare cases or were watching the musician all fascinated. Elderly people, who were standing almost on the bands feet out of protest. Old and young ones, men and woman, who were listening with a smile on their face, happily clapping along or sometimes even singing along. Why they were doing such a street concert tour and not simply played in clubs, I was wondering? – It was very interesting and diversified. You could reach many people this way. – And this day did on this morning for sure. it was a super relaxed and nice morning. I went on to Schönbühl, to Shoppyland, to listen to another Bernese band – Anshelle. As a quartet they played there two sets at an “international blue cross” event. But the second part I wanted to listen to for sure. I like remembering when I saw singer Michèle for the first time as support of DJ Bobo and the few performances of Anshelle with the actual band. I probably haven’t seen them since May 2013 anymore. Out of a good reason – because they are working on a new album. New single and tourdates should be announced soon as well. Quickly getting some food at Subway and then they already played their few songs half an hour later. It was definitively too short. But anticipation is said to be the greatest joy. Soon the new album and tour are following. It’s not that my day ended there. A little crazy it is indeed. Few hours later I was standing at Kufa Lyss. 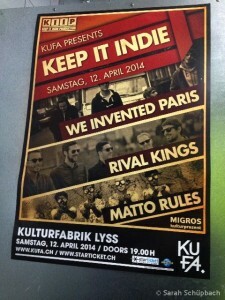 “Keep It Indie” is the theme of the evening – with Bernese band Matto Rules, Luzern band Rival Kings and We Invented Paris form Basel. For a while I’ve been the only guest there – all the other ones were band members and Kufa crew. People seemed to have started the bbq season already on this beautiful spring day, or who knows, where they’ve all been. Start was postponed to 8.30 pm then. The concert wasn’t very crowded, but the atmosphere good after all. Matto Rules didn’t really convince me. And after I’ve heard Rival Kings for the first time and We Invented Paris had played too, Matto Rules didn’t matter at all anymore. I had in mind because Rival Kings performed with Undiscovered Soul before, I’d sure like them. But I indeed was standing rather disbelieving and speechless in front of the stage. Rival Kings do have an incredible energy on stage, amazing songs with lyrics, I feel in love with. From the very first song I was totally thrilled and absolutely excited having discovered a new band for me. I had to buy their album immediately! Since it’s played non-stop. 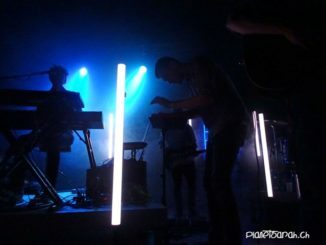 And of course We Invented Paris – I waited so long (since Gurtenfestival 2013) to see them live on stage again. I was so happy to see them and it was lots of fun. 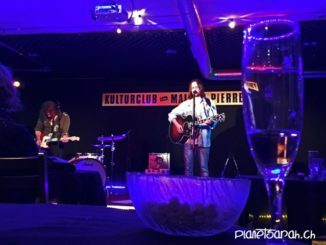 About We Invented Paris I wrote a review on SwissMusicDiary.ch. Read here.